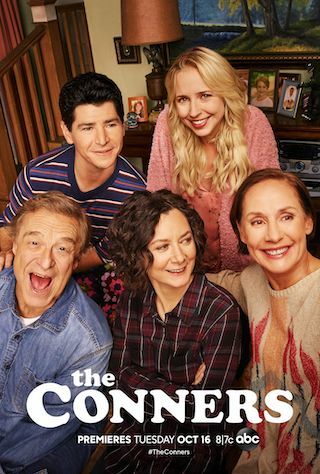 The Conners is an American 30 minute scripted family television series, which kicked off on October 16, 2018, on ABC and is broadcast every Tuesday at 20:00. The show is currently in its 1st season. ABC has officially confirmed the renewal of The Conners for Season 2. The exact release date is yet to be announced so far. Sign up to track it down. After a sudden turn of events, the Conners are forced to face the daily struggles of life in Lanford in a way they never have before. This iconic family -- Dan, Jackie, Darlene, Becky and D.J. grapples with parenthood, dating, an unexpected pregnancy, financial pressures, aging and in-laws in working-class America. Through it all, the fights, the coupon cutting, the hand-me-downs, the breakdowns with love, humor and perseverance, the family prevails.